Eating iron-rich food at night and staying awake raises blood glucose IF YOU work graveyard shifts, it is better to avoid iron-rich food at night. It has been found that food with high iron content disrupts the circadian clock of the liver. The body's main circadian clock that regulates sleep and eating is in the brain. But other tissues, such as the liver, have their own circadian clocks and work on their own schedule. The circadian clock of the brain is set by light which tells when to sleep and when to wake, while the circadian clock of the liver (which regulates blood glucose levels) is set by food intake. Tests on mice have shown that eating food high in iron at night puts the circadian clock of the liver out of sync with that of the brain, resulting in abnormal blood glucose levels. 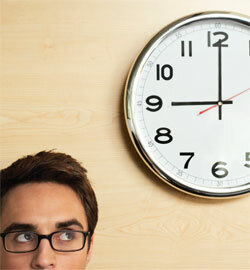 Disruption of circadian clocks is believed to be a cause of type 2 diabetes, obesity and cancer.